-to a large bowl, add all other ingredients. -add the dates and a few teaspoons of the soaking liquid to a blender. Blend until a smooth paste is formed. Combine the dates with the other ingredients and mix well. -use your hands to form the balls. Place in a single layer in an airtight container (use parchment paper to separate the layers). At my place, I always love having healthy snacks at the ready. It makes things so much easier when you have a healthy snack ready to nourish and fuel you through your day. Sometimes all you need is a little 'pick-me-up' in between meals. I love these protein power balls for so many reasons. For starters, they are delicious. The creamy nut butters give them a delicious nutty flavour and the chia, hemp and coconut add a great crunch. 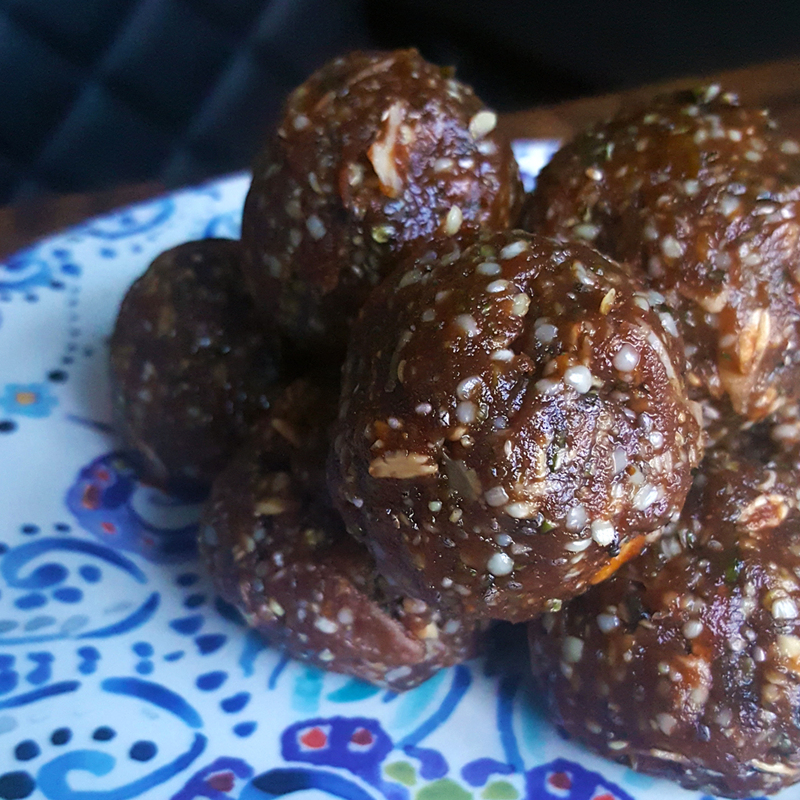 These protein balls are loaded with good stuff that will help sustain you and keep you full in between meals. Each ball has about 6 grams of protein and 3 grams of fibre! I love throwing a couple of them in my bag when I've got a busy day and need something to sustain me.